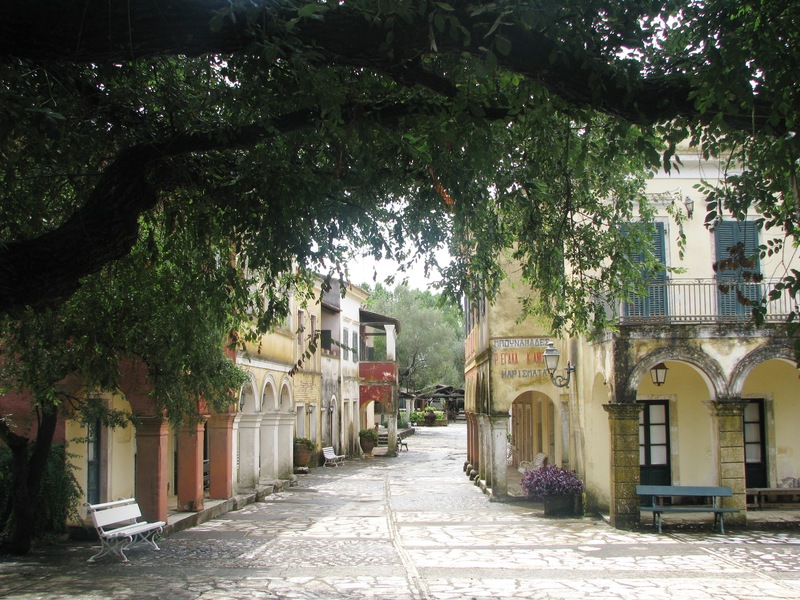 Danilia Village in Corfu is a mountain village located in central Corfu at 9 kilometers from Corfu town. 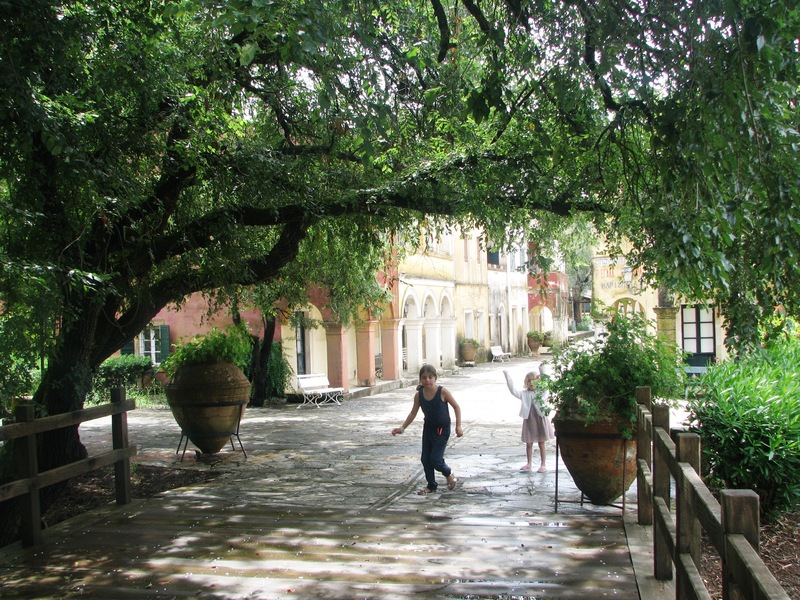 It is a beautiful village that was almost completely destroyed by an earthquake in 1953. Corfiot businessman Bouas completely rebuilt the village in the seventies to serve as an amusement park or open-air museum. 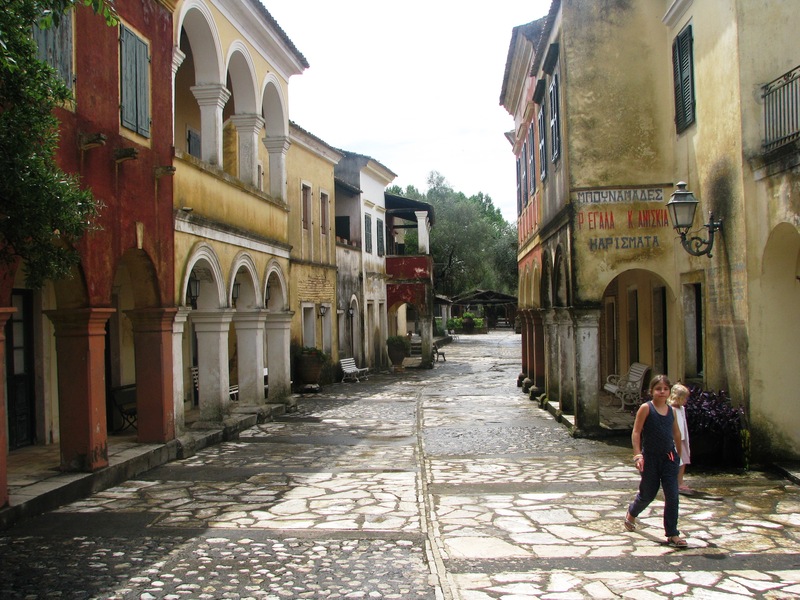 The goal was to approach the atmosphere of the old city of Corfu by taking over the traditional building styles and details as well as the traditional Corfiot village. Danilia Village is part of the Grecotel chain. The holiday resorts of Corfu Imperial, Eva Palace, and Daphnila Bay Dassia are situated nearby. Guided tours, grand dinners, and various other events are offered at Danilia Village exclusively to the guests of these resorts. During our Luxury made easy at Daphnila Bay Dassia vacation, my children and I visited this special place. 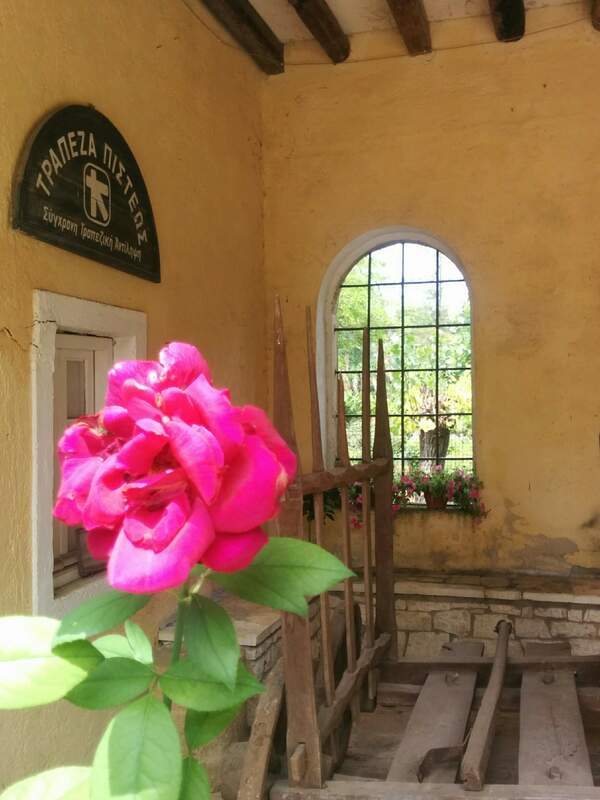 At Danilia there are two open-air squares, a graphic church, a traditional cafe, a large open-air taverna and an indoor taverna of Corfu Island. During events, the catering of Grecotel provides and cooks meals here. Walking down the main road, peering through the windows of shops and workshops…This excursion was truly a step back in time. 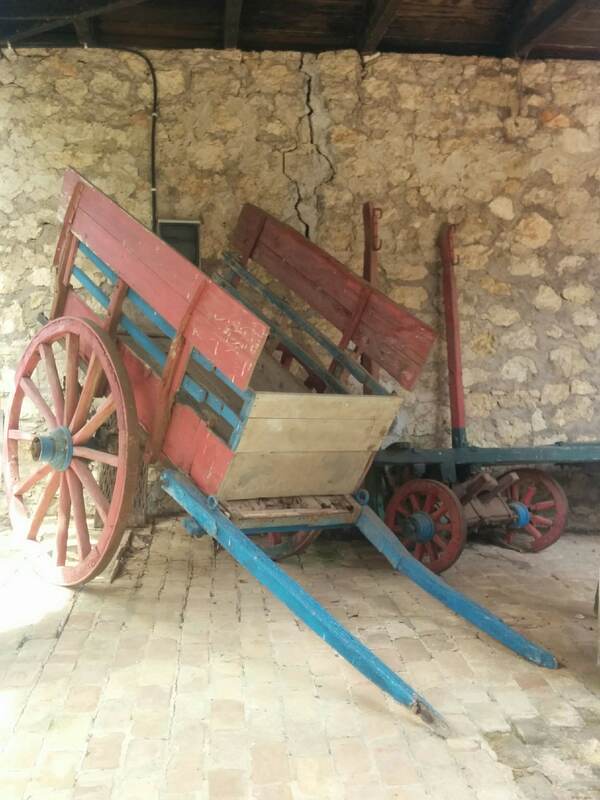 We saw a bakery, a blacksmith’s workshop, antique tools, a loom, a spindle, a pitchfork, ceramic pots, sacks, a mill powered by horses, antique tools and so many other special items. 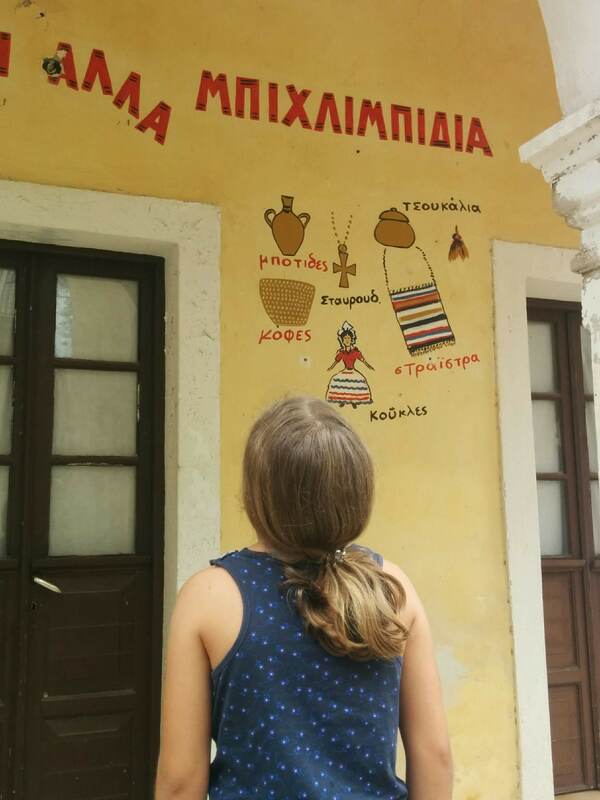 The learning opportunities are endless in the Danilia Village in Corfu. It was great explaining to the children what purpose these antique items had in the past. We also saw advertising and colorful paintings on the walls of the buildings. Inside the cafe, we found original newspapers from past times, books, coins and much more. We were offered a traditional spoon sweet with vanilla. Spoon sweets are sweet preserves, served in a spoon as a gesture of Greek hospitality. We found out that in the old days, people did not have ice cream. 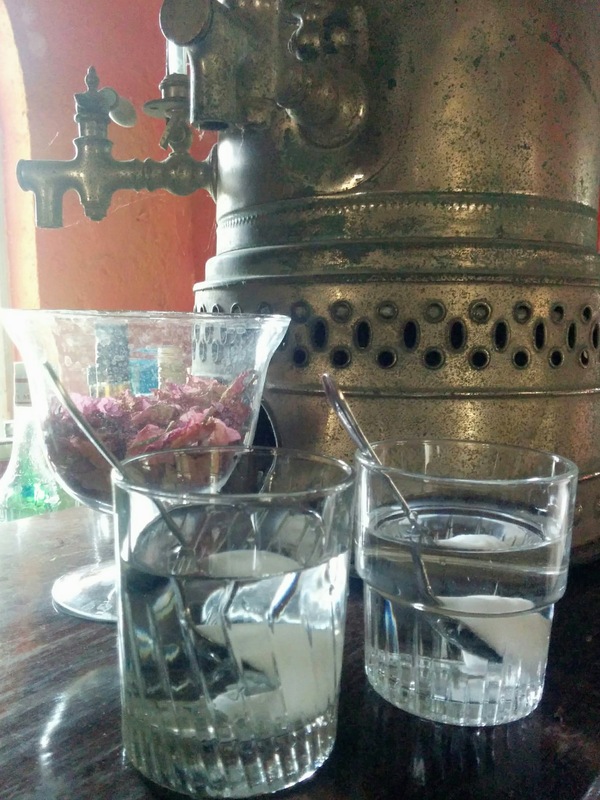 Therefore, on hot days, they would be dipping a spoon with vanilla in water instead. 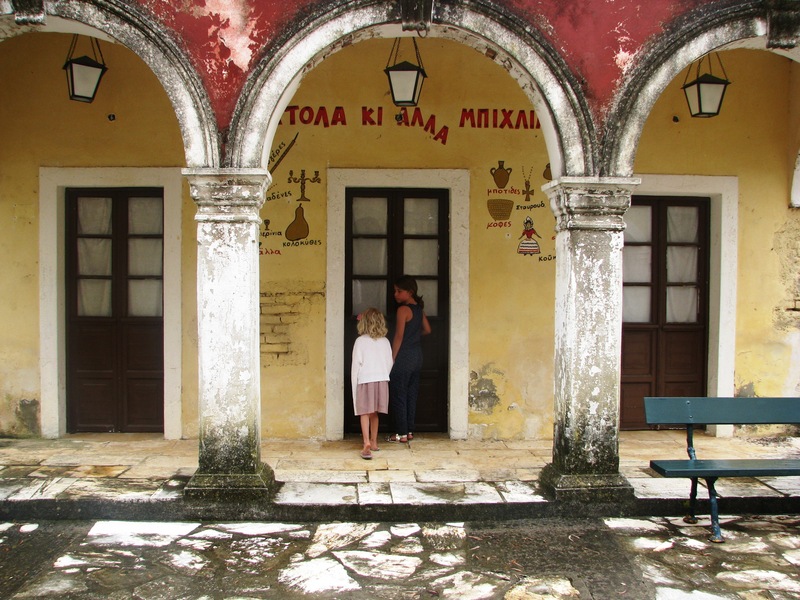 It was very special walking through this special place and learn more about Corfu’s history and culture. The Danilia Village has hosted several movies of which the most famous the James Bond film “For Your Eyes Only”. 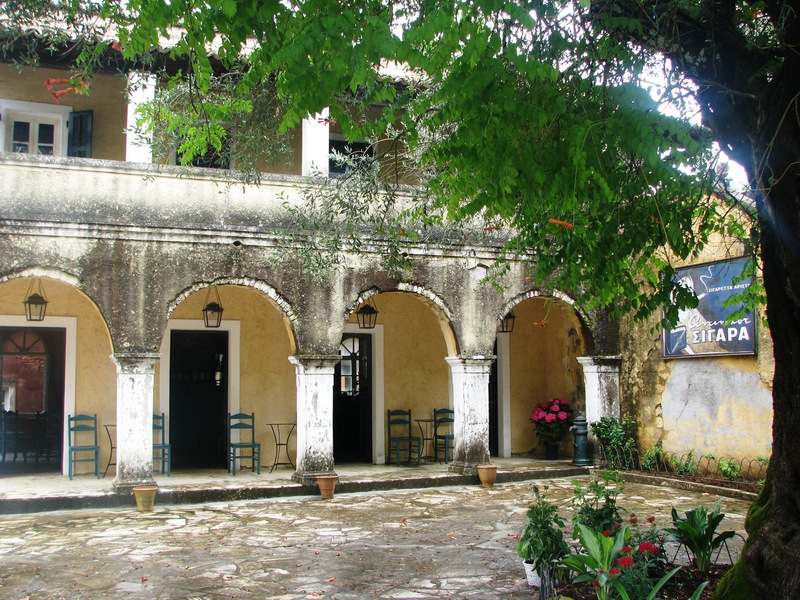 It is also the movie set for the British hit TV series “The Durrells”. 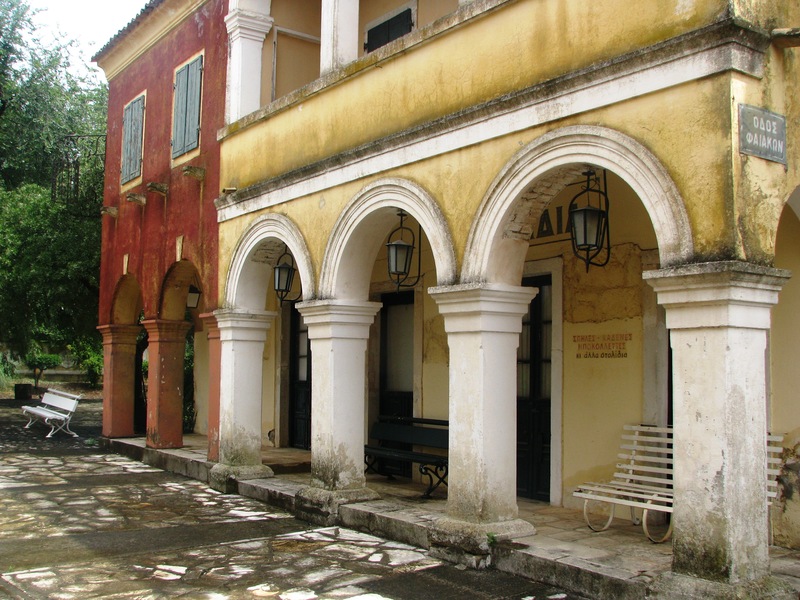 Danilia Village is a must visit for anyone vacationing in Grecotel Corfu. It is a wonderful outing to make with children. We visited Danilia Village during our vacation at Lux.Me Daphnila Bay Dassia. Our review of the resort can be found here. 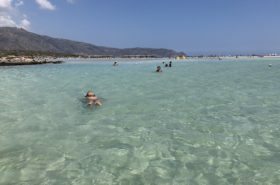 If your family likes waterfun and waterparks, than also check out my review of the Grecotel Grecotel Olympia Riviera resort in the Peloponnese. The beach resort hosts a brand new Olympia Aqua Park, the largest in a resort in Greece. During our vacation in the Grecotel Olympia Riviera resort my family also spent time at the Elixir Thallaso Spa Center. Disclaimer: I was a guest at Daphnila Bay Dassia with my family. As always, the opinions and thoughts expressed are my own.